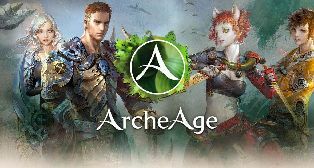 With ArcheAge Gold delivery services from our team, though, you can remove that stressful and expensive waiting around or grinding. We can make sure you can just spend time playing ArcheAge without having to grind for gold or do eye-burningly dull side quests to help make sure you have the money that you need. It's got a really nice atmosphere, so knowing you have enough Cheap ArcheAge Gold to go and enjoy everything that you see within the game is a fine feeling indeed. To help you really integrate into the game, our affordable, securely delivered and fully protected ArcheAge Gold service can really help. ArcheAge Gold trade will delivered directly to the in-game information you offered.